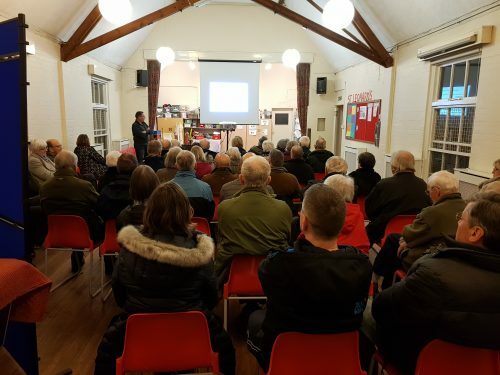 There was a good turnout for last week’s Common & Woodland consultation, despite the bitterly cold weather. Councillor Clive Thomas outlined the long-term Management Plan and took questions from local residents. Residents were given copies of the plan and maps detailing the areas requiring the various levels of work were displayed for everyone to examine. If you could not make the consultation and are interested to know what work we will be doing to our woodlands, please see a summary and a copy of the plan on the Common and Woodlands page.